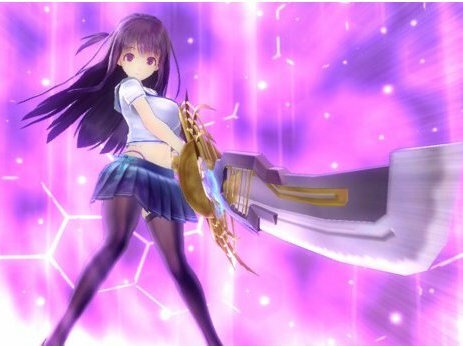 Really Freaking Annoyed by Matt S.
Only a couple of weeks after the Australian Classification Board decided to get ideological and ban MeiQ: Labyrinth of Death for utterly arbitrary reasons, the puritans are at it again and have now refused classification to Valkyrie Drive: Bhikkuni. For those not aware of this game, it was a promising-looking PlayStation Vita game, from the same producer of the Senran Kagura series. In it, girls are infected with a virus that turns them into weapons. It's a 3D brawler, and yep, it's very heavy on the fan service, as you might expect from its heritage and concept. The game was to be published in the west by PQube, the same localisation outfit that handled the excellent Gal*Gun: Double Peace (which was allowed into the country with an R18+ rating). Once again I find myself intensely irritated by this. It's not that I was looking forward to the game (though given I like the creative forces behind it, I am). It's not even that it's going to be that difficult to acquire, as there should be a physical edition of the game and the PlayStation Vita is region free. It's the principle of it that annoys me. As I wrote in my coverage of MeiQ - the targeted nature of classification of games from Japan is borderline racist. The Classification Board is explicitly "going after" games with a Japanese anime aesthetic and Japanese content within it, and as a result there are a constant stream of games that are impacted commercially (R18+ rated content tends to lose sales), or outright banned. And it's because the puritans at the Classification Board have a prejudice against this kind of content. And, because it's a Japanese game, the Classification Board will get away with this with the most minimal of criticism from the Australian mainstream media and public. There will be no complaints about the impact on freedom of expression (though censorship is explicitly a violation of free speech principles), and there will be no targeted campaigns to get the Classification Board to review its process.